Disney Vinylmation™ is a brand of vinyl collectibles sold at Disney theme parks. The name Vinylmation is a combination of the word Animation and Vinyl. 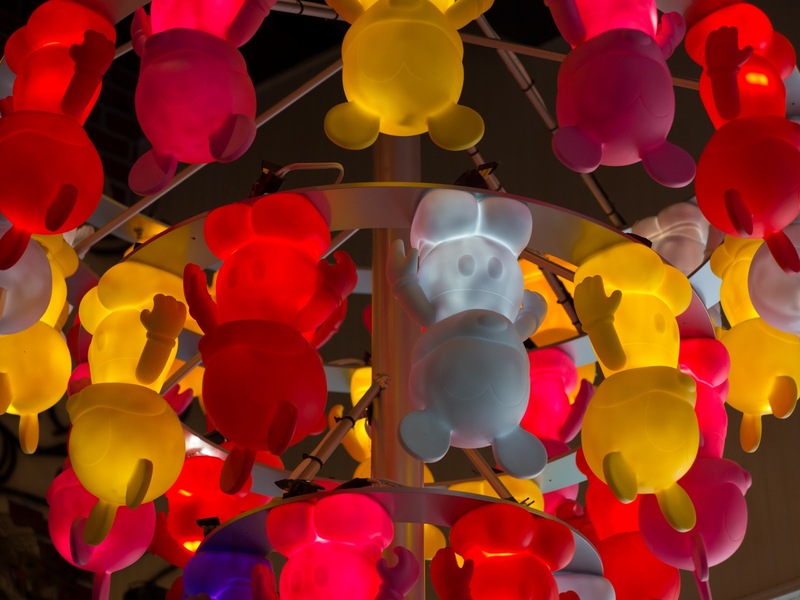 The figures are all shaped like Mickey Mouse but have different themed markings, colors and patterns. This is a light fixture hanging over a display at one of the Disney stores at Downtown Disney in Orlando Florida. Canon G1X, 1/40 sec @ f/5.6, ISO 400.